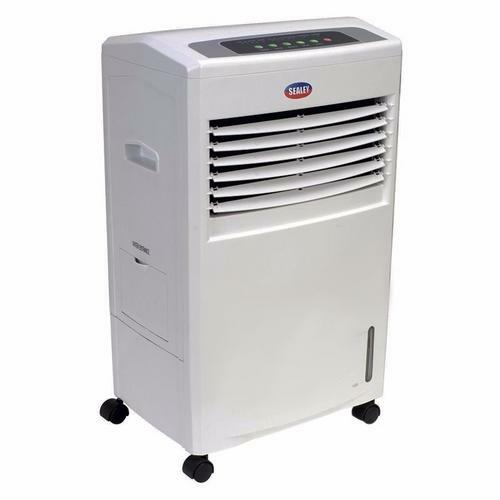 The Sealey 4-in-1 Air Cooler/Heater/Fan/Humidifier and Air Purifier Unit offers the ability to warm up or cool down with the integral fans and refrigerant-free cooling system, it also provides an air purifier and humidifier to allow for cleaner air. This unit is made with a negative ion generator to allow for cleaner air, a 3 speed fan, and a timer to allow for your preferred running times. This Unit is mounted on castors to allow for better portability. This product is suitable for indoor use and comes with a remote control.